"... The U.S. drug overdose epidemic has been inexorably tracking along an exponential growth curve since at least 1979. 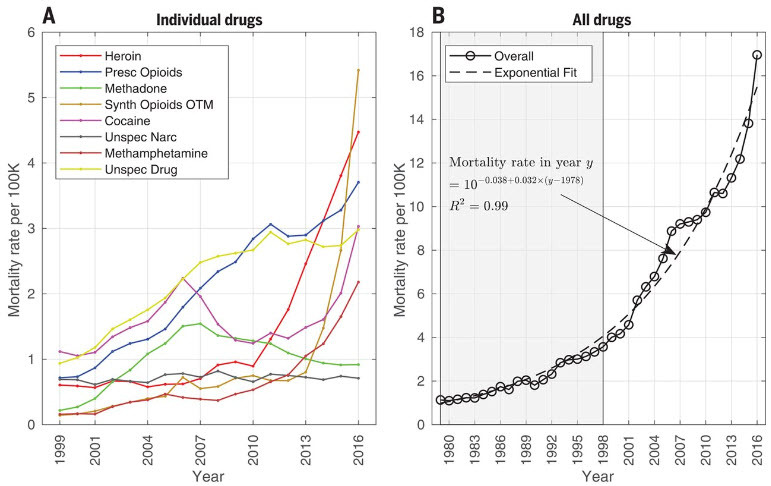 Although there have been transient periods of minor acceleration or deceleration, the overall drug overdose mortality rate has regularly returned to the exponential growth curve. 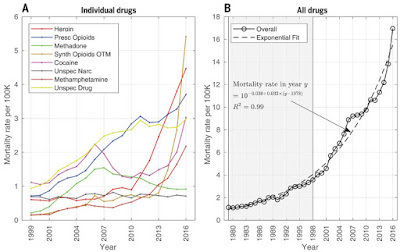 This historical pattern of predictable growth for at least 38 years suggests that the current opioid epidemic may be a more recent manifestation of an ongoing longer-term process. This process may continue along this path for several more years into the future. 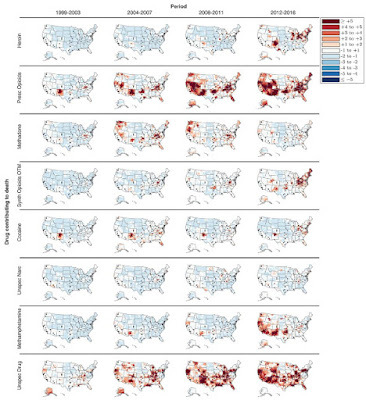 Paradoxically, there has been substantial variability with which specific drugs have become dominant in varying populations and geographic locales. This variability all but negates the possibility of confident predictions about the future role of specific drugs. Indeed, it is possible that a future overdose epidemic may be driven by a new or obscure drug that is not among the leading causes of drug overdose death today. Understanding the forces that are holding multiple sub-epidemics together onto a smooth exponential trajectory may be important in revealing, and effectively dealing with, the root causes of the epidemic..."